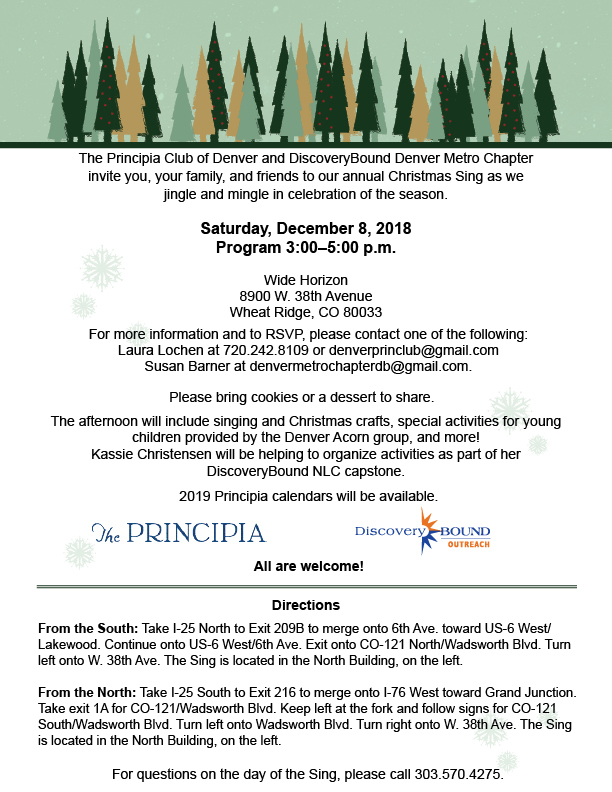 The Principia Club of Denver and DiscoveryBound Denver Metro Chapter invite you, your family, and friends to our annual Christmas Sing as we jingle and mingle in celebration of the season. 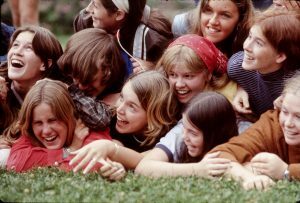 The afternoon will include singing and Christmas crafts, special activities for young children provided by the Denver Acorn group and more! Kassie Christensen will be helping to organize activities as part of her DiscoveryBound NLC capstone. Please bring cookies or a dessert to share. 2019 Principia calendars will be available.